The Custard TV: REVIEW: A Very English Scandal is a triumph! 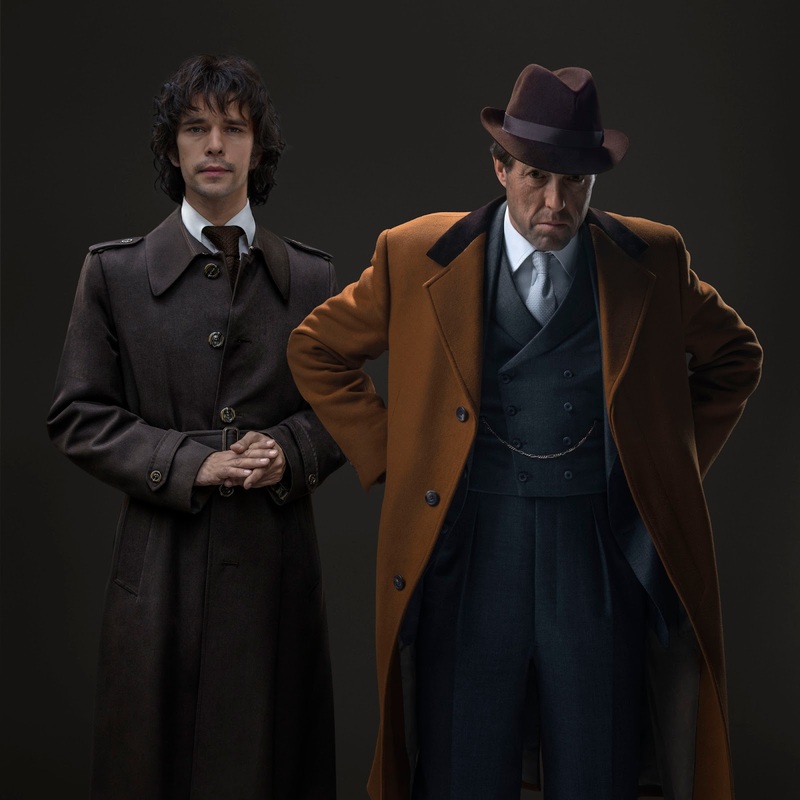 REVIEW: A Very English Scandal is a triumph! I'm too young to remember the story of disgraced Party leader Jemery Thorpe. Luckily for me though the great Rusell T Davies has adapted A Very English Scandal for those of us unaware of the story. The three-part drama based on John Preston’s novel of the same name explores the turbulent life of Liberal Party leader Jeremy Thorpe and how he took action into his own hands when his former lover begins to harass and threatens to reveal his secret: that the leader of the Liberal Party is a promiscuous homosexual. Hugh Grant plays Thorpe, a charismatic but reckless politician who during his time in office championed immigration, whilst Ben Whishaw portrays the lost and loose Norman Scott who effortlessly conveys the younger man’s vulnerability and ill-judged manipulation. This first episode follows Thorpe beginning an affair with former horse groom Norman Scott in 1961, when Norman arrives without warning at Parliament; having only met the politician once, homeless and destitute, he begs Thorpe for help. Here a sexual relationship begins and lasts for several years while Jeremy houses Norman until he abruptly leaves never to be seen again. Then one day, Thorpe’s mother receives a fourteen-page letter from Norman discussing, in great detail, his homosexual relationship with her son. He also requests a National Insurance card and the grand sum of thirty pounds. Upon hearing the news, Thorpe’s friend Peter Bussell (portrayed delightfully by Alex Jennings) remarks that the man can’t even blackmail properly. Upon repeated threats of blackmail Thorpe decides he has no other choice but to kill him, he comments coldly that it would be “no worse than shooting a sick dog”. A BBC statement says the trial of Jeremy Thorpe “changed society forever, illuminating the darkest secrets of the Establishment.” It’s hard to believe that a saga this sensational has taken so long to be fictionalised. 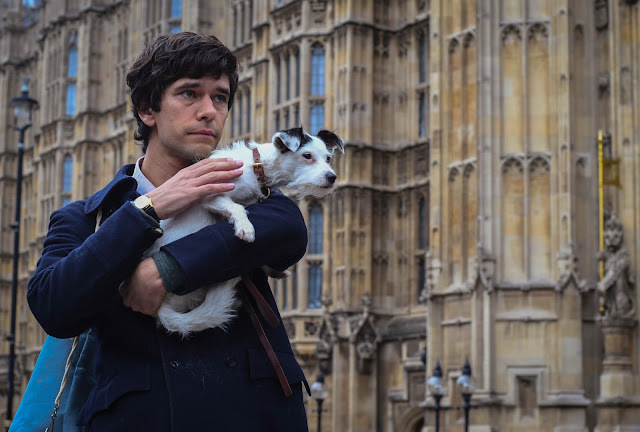 A Very English Scandal marks Grant’s first fully-fledged return to a television drama series since the 1990s – a very welcome return at that. Grant is incredible as Thorpe, one of society’s strangest characters to ever inhabit the political world. Never too much, Grant’s character is drunk on power and confidence, at times overwhelmingly charming and at others cold, patronising and simply chilling. We must give thanks to films such as Paddington which appear to have given Grant the much-needed headspace in order for him to shape himself as a brilliant character actor. This new chapter into Grant’s career has allowed him to shed the floppy hair of Four Weddings and the heart-throb crown he adorned during his Bridget Jones fame. Grant, the theatrical villain beckons his finest act as an actor. However, Grant’s villainy could not be measured without Whishaw’s naive and confused Norman. Inferior in age, class and privilege Norman is already a lost cause. Even at the beginning of their relationship Thorpe possesses him as his “Bunny Rabbit”, chilling the audience by switching without wavering from patronising to domineering, by dictating to the visibly frightened Norman, “now I’m going to kiss you”. Norman’s relationship with Thorpe quickly sours, he becomes alone and isolated and begins to seek solace with his drink and pills. Norman is afraid when Thorpe first outs him as a homosexual, by setting down a small tub of petroleum jelly on his bedside table – Norman bursts into tears, denying and apologising for his sexuality at the same time. Even when Norman is at his most reckless, it’s hard to feel sorry for him. Whishaw plays the victim with ease. As well as being hugely entertaining I feel the drama is a warming reminder of how far society has progressed, coupled with the 70s music and aged text overlays it’s almost satirical to think that a man would go to such lengths to cover up his actions – including marrying and having a child with a woman to pose in front of the press at their rural family home. Russell T Davies, the man behind the series, has truly struck gold with the story. Smartly paced and perfectly timed comedy the drama strikes the right balance between smirks and snarls. Once describing Grant as “one of Britain’s finest actors” the two make a magical team. Episode one expertly lays down the foundations on what looks like a promising series. Will it be a botched attempt or success? I feel googling the outcome would cost what I feel is going to be both a jaw-dropping and laugh out loud “trial of the century”. A Very English Scandal Continues Sunday at 9.00pm on BBC One.